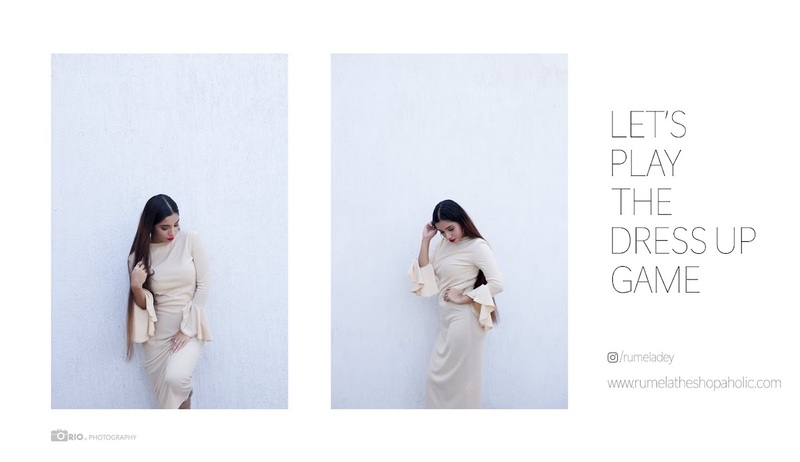 Rumela the shopaholic...: Wrap style slit maxi dress styling in collaboration with Selfie Leslie . Wrap style slit maxi dress styling in collaboration with Selfie Leslie . Hi all today on blog sharing some pictures of one of my current favorite thigh high slit maxi dress that I received from an online store called Selfie Leslie . You can check out my detailed review of the dress and company in my latest haul video below also don't forget to enter my current giveaway for a chance to win a watch worth of $150. Checkout latest Haul & Giveaway video. Ooohhh I love that dress! It's so cute! The color is great! Those shoes and that dress!! Damn girl!! Don't hurt 'em!!!! How about follow for follow? Those shoes are too cute !! OMG I love your shoes. What a pretty + breezy dress, girlfriend! Love it on you! Wow Rumela you look stunning! This outfit is lovely on you, and I especially love the fab shoes with the multi-coloured details! Aww love this maxi dress! Great look!